2 Stir in tomatoes, Chipotle sauce, stock and sweetcorn. Simmer for 12-15 minutes. 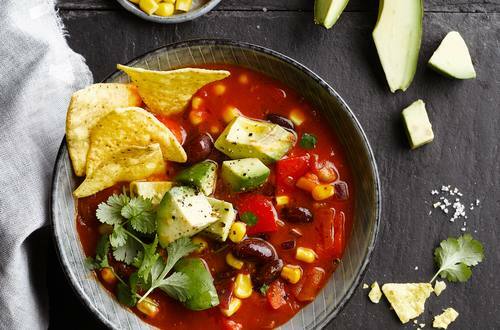 3 Serve in bowls topped with the tortilla chips, and top with cheese and avocado if used.